Inkster Graphics is your one-stop shop for digital design work, as well as fine art projects that are produced solely “by-hand”. We generate creative business identity packages that include original logo designs, web design, printed promotional materials and white papers. But it doesn’t end there! Our digital frontier also provides custom wedding invitations, stylized info-graphics and even signage for internal and external display. Want to rock some of your own signature garment art? Then check in with us for t-shirt art, innovative cycling jersey designs and even custom-crafted designs for wrestling singlets! We have over 22 years of experience as well in producing well-balanced advertisements, publication cover art, wine and beer labels and tap handle graphics. We also generate custom etched glassware, event banners & signage, car window graphics, scaled maps for site call-outs and for events. We’ve also provided photo restoration work and sports collages to our clients as well. On the fine art side, we can be commissioned to produce oil pastel portraiture, illustrations, caricatures and acrylic paintings! 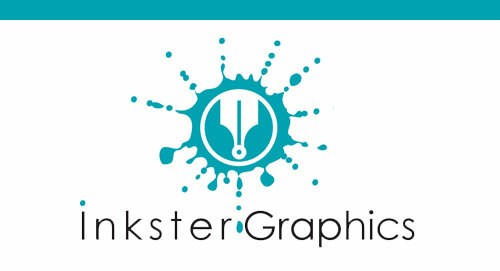 So whether you’re in the market for artwork that is drawn or digital, Inkster Graphics here to provide you with work that will be customized to meet your needs, from concept through completion.